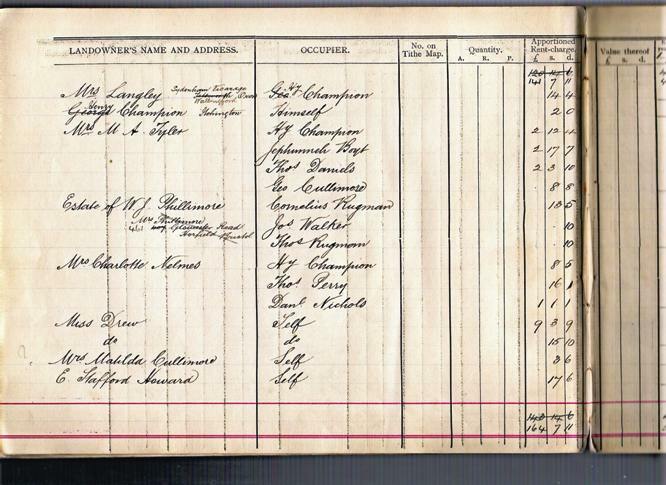 In the earliest days of the Church, the parson or rector (i.e. ruler) was supported by tithes, lands and offerings. Tithes, originally voluntary, are a tenth part of the produce of the soil and became obligatory on those living close to a particular church. 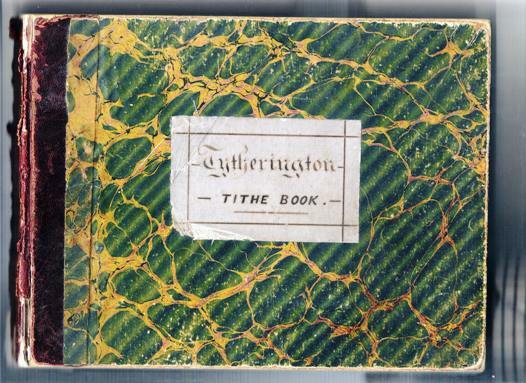 The Tytherington Tythe Book covers the period from July 1st 1902 to 1st January 1918. 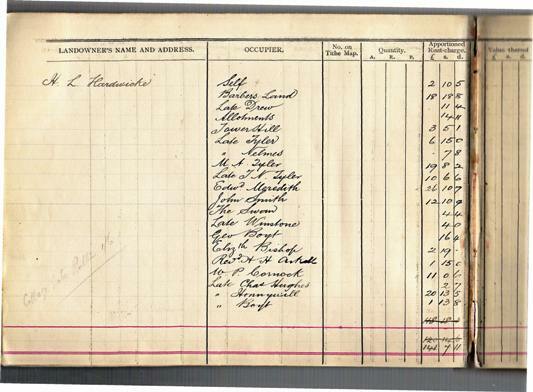 It is a record of tythes paid by landowners and tenants in the village. 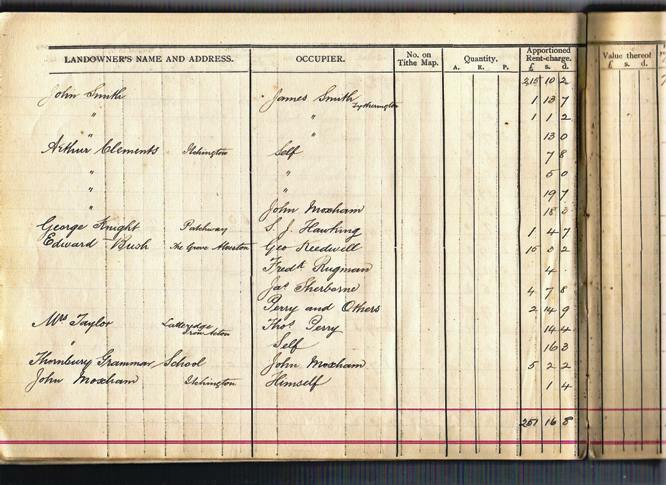 The first page (below left) shows the record for Hardwicke Lloyd Hardwicke the Lord of the Manor.